Hello guys, it's another airtime giveaway here on this blog Entclass.com. Like we all know, i don't just give airtime to random users on this blog, as i only give to the top commentators on this blog, just like i did last month, which is December 2016, last year to be precise. 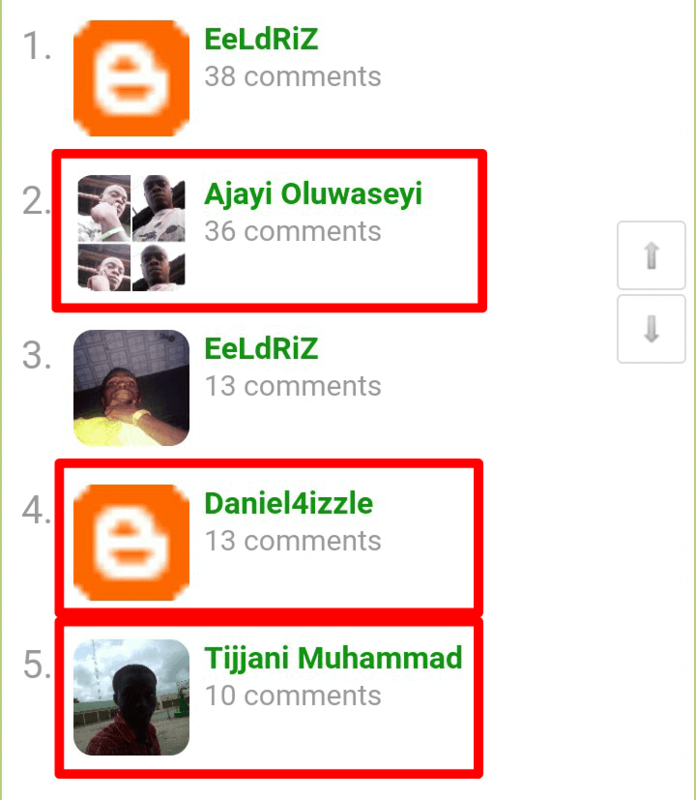 Here again, I'll be giving out Free airtime to the top commentators on this blog for the month of January 2017. I decided to do this early cos i felt it's the right time to give to my readers and ardent followers here on this blog Entclass.com.ng. I noticed someone is trying to cheat by creating two identical Google accounts and using them to comment on this blog. I hereby disqualified him for such act. He is EeLdRiZ by name. If your name is listed above, kindly comment your phone number and the network. Use the same profile as seen in the image below. 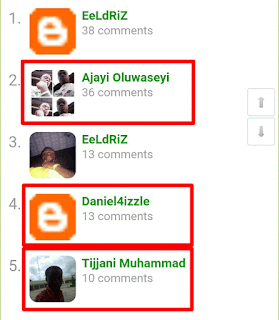 Incase you want to be among the next top 5 winners of Entclass Blog Giveaway, kindly start to comment on posts on this blog with your name or Google profile (Google+), and you will be surprised to see your name on our next giveaway. There is a page on this blog that automatically displays the top 5 commentators of the month, you can see the page Here. The best is yet to come. Stay glued to this blog for more juicy updates and free browsing cheats. So happy I'm among the winners. 08082365843 airtel. Thank you bro for this. We are only on Telegram. Thanks for the compliments. It's nothing. Lemme also try for this month.